This is a rare truck. Emblems removed. I agree. It's a Lehigh. I'll agree with Lehigh too. Will go with the crowd. Lehigh. It's unanimous for Lehigh. 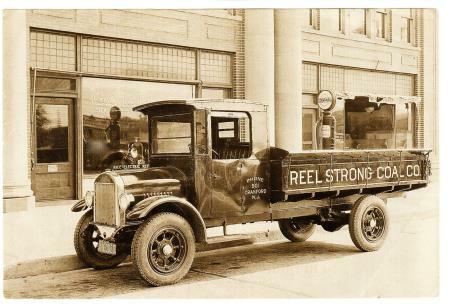 The Lehigh Company built trucks in Allentown Pennsylvania from just a few years, 1925 to 1927. Only 3 models were built, all rated at two tons, using two different Hercules engines and a Buda HS-6 in the third. Lehigh merged with Bethlehem Motors. Davwingman had this first. Our photo was posted to Facebook by Ray Drude.